With 30 years' experience and qualification as a Counsellor and Gestalt Psychotherapist, my therapeutic approach encourages you to make the changes you want in your life. The style is Humanistic, which means caring for the whole person, to help you through your distress or to develop yourself as a person. I use a relational approach, as it is only through relationship with an other that we can truly find ourselves. I am accredited by UKAHPP as a Psychotherapist and so registered with the Professional Standards Authority for Health and Social Care. My accrediting organisations observe very high ethical standards, with a code of ethics and practice which offers you protection and ensures that you are dealt with in a fair and professional way. The people I see professionally are individuals, couples and groups (e.g. families or work teams). It is you, the person, rather than the issues that count. A number of my clients are or have been students from Eastleigh College Dip HE in Counselling. Counselling trainees have their own personal therapy to explore their own issues in order to become safe and effective practitioners. I work weekdays (except Mondays and Wednesdays)and some evening appointments are available. "A resting place where life was safely viewed..."
We are living our dream - thank you so much, we wouldn't have made it without your help..."
"Thank you for helping me get through my journey of grieving..."
"When I was afraid, you held my hand - because you came with me, my journey became an adventure"
I maintain continuous professional development in therapy and group-work. I completed a modular training in Groupwork Facilitation with the Gestalt Centre, London, in 2010. I have run a private practice in counselling and psychotherapy since 1989, and alongside this worked in public service as a probation officer (17 years' in total) and in higher education, training the next generation of counsellors. As an independent trainer I have run short courses and workshops for colleagues and organisations in the UK, and also acted as a short-term expert for the EU, training probation staff in the Czech Republic (setting up a parole system) and in Turkey (helping establish services for victims of domestic and sexual violence). If you would like me to set up an individual training package for your organisation, please contact me. 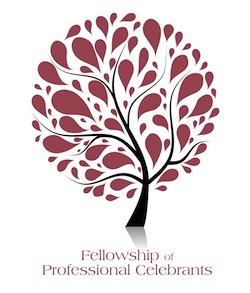 I am also qualified with the Fellowship of Professional Celebrants, which means that I can conduct non- or semi-religious funerals, each of which is designed to be a celebration of the individual, as well as a comfort to those they have left behind. Fees are normally £55 per 50 minute session. For couples the time is usually extended to 60 minutes at a fee of £65. For groups, the time and number of participants will determine the fee, which will be agreed in the initial session. Supervision is charged at £65 per hour (£95 for one and a half hours). ed. Mary Anne McFarlane and Rob Canton (2014): Policy Transfer in criminal Justice - crossing cultures, breaking boundaries (Palgrave MacMillan). I facilitate a Therapists' Compassion Group, which is for qualified counsellors and psychotherapists who would like some extra support and encouragement, probably because of feeling over-burdened. We explore whatever comes up in an informal and caring way. The group is full at present, but if you are interested should a vacancy occur, please contact me. I would be prepared to arrange to meet a prospective client who was a wheel-chair user or could not otherwise access my premises at a different location should this be logistically possible. Tuesdays Thursdays and Fridays, some evenings available. I am a Humanistic supervisor; my main modality is Gestalt and I am willing to supervise any counsellor or.